The Trump Administration has formally notified Congress of its intention to renegotiate the North American Free Trade Agreement (NAFTA) with Mexico and Canada. Letters from United States Trade Representative (USTR) Robert Lighthizer were sent to Senate President Pro-Temp Orrin Hatch (R-UT), Senate Minority Leader Charles Schumer (D-NY), Speaker of the House Paul D. Ryan (R-WI) and House Minority Leader Nancy Pelosi on May 18 starting the 90-day period before formal talks can begin no earlier than August 16, 2017. Under Trade Promotion Authority (TPA) granted to the President by Congress, the Administration must release its objectives for renegotiating NAFTA on the USTR website 30 days before initiating the negotiations, or on July 17. On May 23, a Federal Register notice (FRN) was published soliciting public comments on NAFTA through June 12. A public hearing will be held on June 27. The FRN includes specific issues for which the Administration is seeking information. 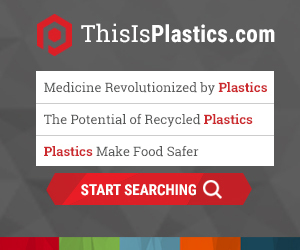 PLASTICS has been encouraged by staff at the Department of Commerce to submit comments as they want to know our priorities and concerns. We will be submitting comments but need input from member companies to help us tell the industry’s story and provide data. If you have not done so already, please take a few minutes to complete this survey to provide information on exporting issues. All responses will be kept confidential. Members companies are encouraged to submit comments on their own. To submit comments, or to request to participate in a public hearing on June 27th at the U.S. International Trade Commission in Washington, DC, please visit www.regulations.gov and search for docket number USTR-2017-0006.Click the “Comment Now!” button to make your voice heard regarding this important trade policy update. For more information, please contact Suzanne Morgan.